Last year, the Daily Nation ran an extensive review of National Bank of Kenya’s business model. The piece by the Newspaper questioned some of the bank’s practices, which in turn fueled speculation on online platforms of the bank’s health. The bank subsequently issued statements and rejoinders to the article but this has not deterred queries on the bank especially on social media sites and blogs. 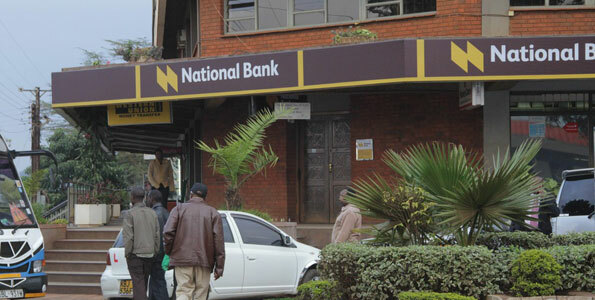 National Bank has now written to the Central Bank of Kenya Governor and the Cabinet Secretary for ICT seeking intervention in dealing with increasing cases of defamation of banks emanating from unregulated blogging. The bank states that it is particularly concerned by a social media user who has continued to spread malicious and untruthful information about banks and other companies, in alleged extortion scams. Additionally, the Bank has written to the Media Council for verification of the blogger’s identity and to check if the council has jurisdiction over blogging. National Bank also stated in its statement it supports legislation promoting responsible blogging while at the same time seeking to punish abuse of freedom of expression through irresponsible blogging. The bank says it will seek the support of the industry lobby as well as affected companies in seeking a lasting solution. It singles out the fact that bloggers do not subscribe to a code of ethics or have requirements for formal education or certificate in journalism. While we understand there is need for responsible blogging, the suggestion by the bank nears censorship. I believe bloggers need to air their thoughts on different platforms as provided for by the constitution through freedom of speech. There is need for responsibility in blogging but we cannot police and muzzle the internet.